The Professional Aboriginal Women’s Network (‘PAWN’) started with a vision to connect professional Aboriginal and non-Aboriginal women to share stories and lift each other up in their professional journeys. PAWN is a place for women to gather and build on each other’s successes. PAWN is also rooted in the notion of reconciliation: to bring Aboriginal and non-Aboriginal women together to celebrate each other. PAWN is more than a network, it’s a very important and powHERful movement! PowHERhouse recently had the opportunity to sit down with the three founding members of PAWN: Chastity Davis, Kim van der Woerd, and Teara Fraser. How did the three of you meet? And how did PAWN come into existence? We met on a couple of occasions through our volunteer work at the Minerva Foundation and through an annual professional women’s retreat. We soon discovered that we have a similar set of values, along with drive and ambition, and we continued to meet outside of formal volunteer and business events to grow our relationship and support each other in our respective entrepreneurial roles. Chastity Davis met Michelle Pockey through The Minerva Foundation. Michelle had seen Chastity speak at Minerva’s Women In Energy luncheon where she shared her vision for reconciliation and Minerva’s role in that. Chastity asked people to join her in the reconciliation movement, and Michelle reached out to answer the call, and thus kicked off the vision for a network for Professional Aboriginal Women. Michelle shared that she started the Professional Women’s Network (‘PWN’) and invited further discussions for a possible collaboration. 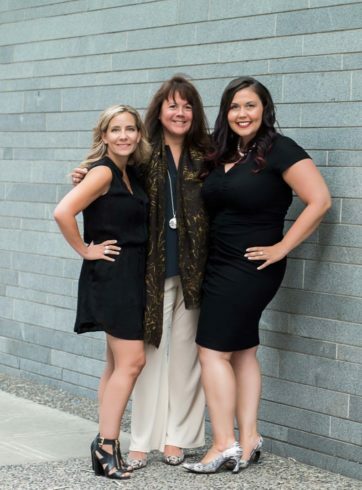 With the help and support of Michelle and PWN, the four women – together – breathed life into what is now officially known as the Professional Aboriginal Women’s Network (PAWN), a chapter of PWN. Best advice you ever received – and how does this advice apply to PAWN? Chastity – We are not in this life alone; we are in this life together. We are more powerful when we acknowledge this and live our life in this way. We are all one – this applies to PAWN in the way that we have created space to connect and embody this message. Teara – My mom taught me the importance of ‘stand by me’ – about standing by each other, truly. PAWN creates spaces for us to find and stand by each other. I understand that PAWN is very much a co-creation and that you have done a survey to understand what women are looking for from PAWN. We know that work in our communities is more impactful when we are meaningfully engaged. We wanted input on guiding values, key activities, and ways to ensure women are engaged. Through our survey, respondents unanimously agreed that there is a need for a network for Aboriginal women. With regard to values, respondents identified: Leadership, Respect, Inclusion, Collaboration, Compassion, Empowerment, Reconciliation, and many more! For activities, respondents liked the idea of networking, team building, guest speakers, sharing circles, mentorship, learning, and sharing stories. Women indicated that they would like to be a part of PAWN if there was a sense of community, meaningful connections, and collaboration. What is the impact you are looking to make through this vehicle of PAWN? We love this quote and we believe that PAWN is connecting and creating a strong network of Aboriginal and non-Aboriginal women who collectively will make a change in the world! When you each look at your career, what would you say is the top lesson you have learned that you could pass on via PAWN? Understanding the value and importance of mentorship and a strong network of like-minded individuals who can support you through the good times and the not-so-good times. Whether you are young, middle-aged, or nearing the end of your working years, we believe that a mentor can help guide your decision-making, ensure that your values and vision are included, and share best practices and lessons learned. A strong network is invaluable to help the co-creation of vision and goals: We are stronger in numbers! Do you have any success stories or testimonials you could share at this time? We recently invited Michelle and Paisley Nahanee, a mother-daughter entrepreneurial team from the Squamish Nation, to a sharing circle. It was incredible to hear their story of The Capilano Tea House, as well as their lessons learned and vision for the future. They are an amazing example of powHERful Aboriginal women. Upcoming events you’d like to share? Our next PAWN events are being held on October 13 and December 1, at Fasken Martneau’s Office at 550 Burrard St on the 29th floor from 4:30 pm – 7 pm. Our events feature networking, wine, appetizers from Salmon N Bannock, and one Aboriginal speaker. Five years down the road, what does PAWN look like? What is happening? PAWN has several Aboriginal and non-Aboriginal members who are connecting and co-creating businesses that make a difference in our country. PAWN has numerous business, not-for-profit and government partners who are engaged and supportive of our movement. PAWN has expanded nationally and internationally to support the reconciliation movement between professional Indigenous and non-Indigenous women. Chastity – One of my favorite pastimes is practicing yoga! I also love to travel the world and have visited many different countries and continents. One of my top experiences was visiting the pyramids in Egypt. Kim – I love travel and have had the privilege of travelling to many places, but one of my greatest adventures was hiking the Grand Canyon. It was majestic and truly a wonder! Teara – I love adventure! Adventure fills my soul, and as I thought about all of the great adventures I have been on, what comes to me is my new practice: a practice of pausing, savouring and celebrating the ordinary moments. Favourite energy meal or healthy snack? Chastity – Smoothies from the “Oh She Glows” cookbook or Kombucha. Kim – Definitely popcorn … big bowls of savory popcorn! Teara – I love beautifully prepared juices from Nectar Juicery. Chocolate from gourmet Hotel Chocolat. Top 3 things (still) on your Bucket List. Chastity – Travel to Tibet, obtain my Yin Yoga Teacher Certification, and co-create an Indigenous travel and culture TV/Netflix show! Kim – Travel to Iceland, run the Chicago Marathon, and write a book about what we have learned in our research profession. Teara – Learn Spanish, learn to play the guitar, and write a book. Kim – A bottle of water – hydration! Your thoughts on mentoring young women? What do you feel are your most valuable lessons to pass on are? Chastity – I love mentorship and feel it is an important element to have if you want to build a long and successful career. Don’t be afraid to ask someone to be your mentor – most people want to invest in helping young ambitious leaders succeed! Also, take the advice of your mentor! And work hard! Hard work has contributed to how successful I have been in the first 10 years of my career. Invest in developing yourself whether it be with a life-coach that you work with once a month (I’ve been working with my life coach for 13 years!) or workshops to explore and get to know who you are and what is important to you. Kim – Mentoring is a core part of my business model. For me, one of the most valuable lessons I have learned and try to pass on is around values-based leadership, and always checking in on your values within your personal and professional life. I also encourage women to take on as many opportunities as they can – open doors lead to more open doors! I also feel it’s so important to encourage work-life balance – we value “busyness” so much, it’s so important to carve out time for self-care, friends and family. Teara – When you ask to be under someone’s wing, for someone to listen, guide and mentor you – it is a beautiful gift that creates strong community and it invites people to ask more often. Ask for what you need; offer what you can. Chastity – Schedule time for self-care. Often we are so busy giving to the rest of the world in our professional and personal lives that it is important to remember to give back to ourselves. I schedule my yoga classes and treat them like meetings; it is rare that I cancel them, and if I do I have to consciously think about it. It is important that your cup is full or else it is hard to give fully to the rest of your world! Invest in building a strong network of women! They will be there for you in the good and not-so-good times. Give generously to these women and create space in your life to be with them and nurture a connection! Kim – We grow and reach out to more professional Aboriginal women, and create a thriving, inspiring and meaningful network. In turn, we contribute to a reconciliation movement in Canada where we create, repair and maintain relationships between Aboriginal and non-Aboriginal people. Teara – What Kim said! 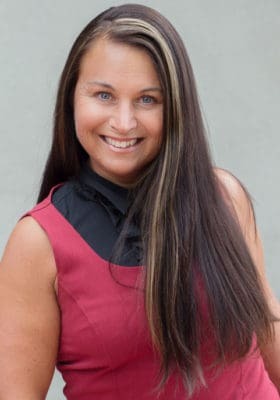 Special acknowledgement: Thank you, deepest gratitude and respect as we remember Michelle Pockey, Founder of the Professional Women’s Network, who was instrumental in helping set up PAWN, as well as Monique Orieux and Dani Bryant, Co-Chairs of PWN.